This afternoon I got a call from Isabelle, our candidate for Stratford and New Town. It’s unusual for her to call in the middle of the day. I put down my work and answered immediately, fearing the worst. Isabelle was just a short walk away from where we both live, helping the Focus E15 mums protect the home of one of their friends, Jane, and her 14-year-old daughter. The council had evicted her last month because she had fallen behind on her rent payments. She had lived there for 20 years, but only recently had been sanctioned on her benefits and had her housing benefit cut. She chose to eat rather than pay the rent. 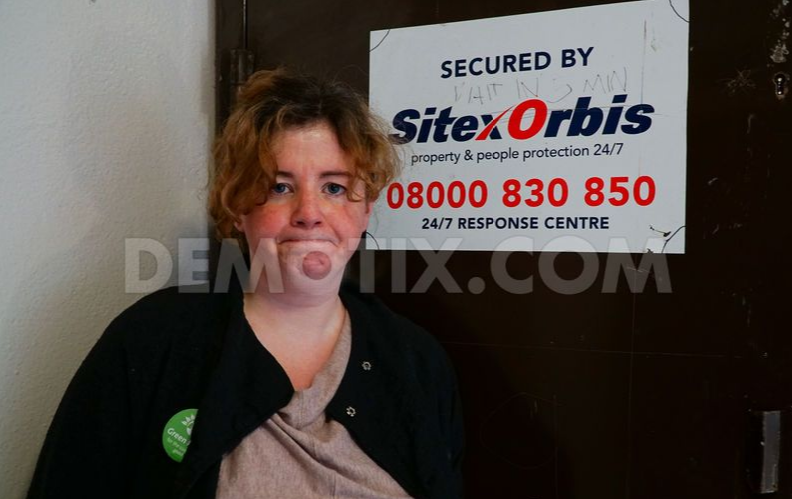 So the Labour-run council decided to evict her. Even when her family offered to pay the full amount owing, they refused to let her back in. 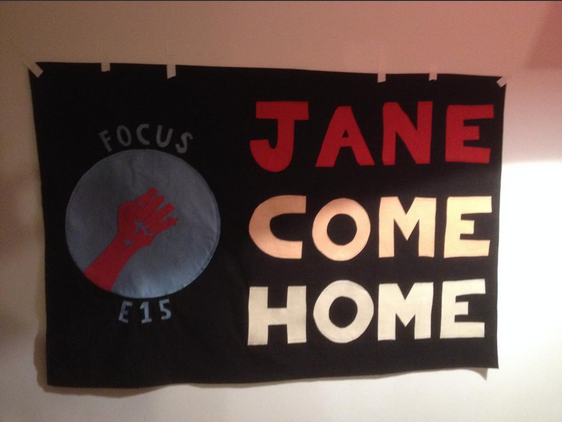 Focus E15 stepped in and let her back into the flat, gave it a much-needed redecoration and had a welcome home party. 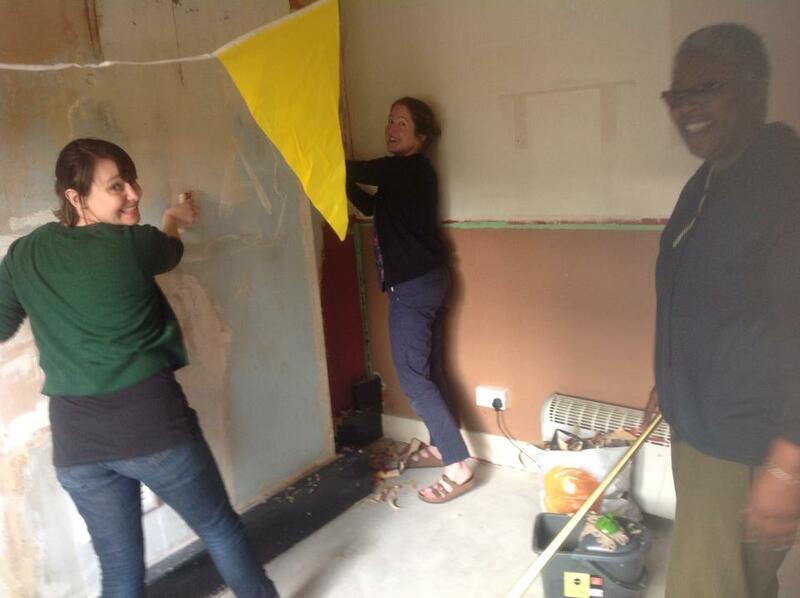 Two of our members went down to help over the weekend and pitched in with stripping the wallpaper and buying a heater. The council had invited Jane to a meeting today at 3.30pm. That sounds great, you might think, until the cynic in you wonders what the council might do while she’s out. And behold, as soon as she left, the council were straight in to board everything up. Fortunately Focus E15 were wise to this plan and had decided to house-sit. Jasmin, their courageous leader, was there. Isabelle’s next words were a bombshell. Lost for words, I fumbled a bit. I called others in the area, left my husband ill in bed and got there as fast as I could. Inside, the police were blocking access to the building. We peered in through the window, tapped on the door and politely asked what was going on. They pretended that we weren’t there. There was no warrant for arrest, no court order. When I announced that I was the parliamentary candidate for West Ham (not a card I really like to play) suddenly the police started talking. They promised me that they would bring down a ‘representative from the council’ to answer my questions. Eventually they came out and bundled Jasmin into their van ‘for questioning’. They refused to say under what grounds she was being detained (I’m not sure they themselves knew, apart from it being something to do with squatting) and drove off. Al Thomas, the council’s enforcement manager, said that I should contact Newham’s communications team rather than talk to him. Why, I wonder? Could it be that he might get himself in trouble again? It’s sad to see George Orwell’s tale Animal Farm played out once again in the theatrics of Newham’s Labour Council. The reds have learned how to walk on their hind legs, and us quadrupeds are being left out in the cold. You have a chance to bring them back down to earth, if you vote Green this May. Update: Jasmin Stone has been released without charge. However the fight for Jane’s home and the struggle for social housing for Newham residents continues.